Join us for our 10th Annual Italian Heritage Festival. This year’s event is sure to be the best yet. Sip some fantastic wines with friendly folks, while watching the sun set on the beautiful Atlantic Ocean. The Bocce Tournament is one of the highlight events of our club and we want your team to join in the fun! We are excited to host the 10th annual Hilton Head Island Italian Heritage Festival. This event gets bigger every year and this year's celebration will be no exception. As always, the festival is a robust celebration of Italian culture with food and live entertainment. 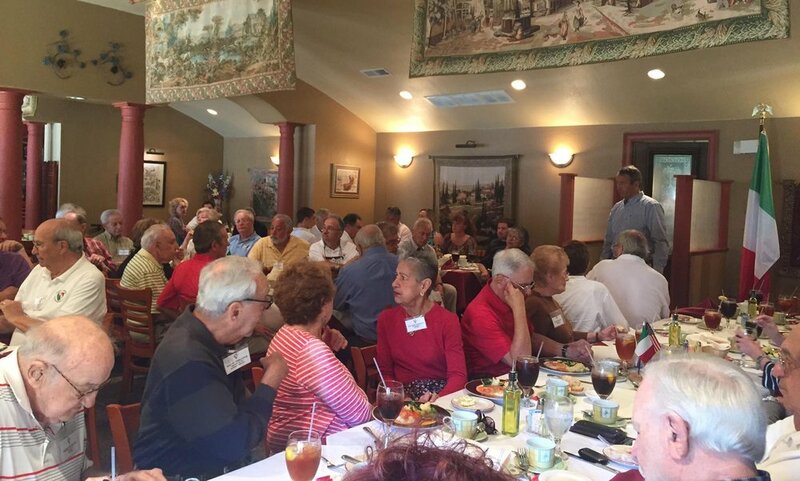 The Italian-American Club of Hilton Head Island meets for lunch each Thursday at 12:30 pm, at Flora's Italian Café on Hilton Head Island, and we look forward to having you join us. If you're ready to jump right in download a membership application below. In addition to our fundraising events, we like to organize gatherings that allow us to get together and get to know and enjoy one another. We hold several fundraising events each year. The proceeds we generate through our fundraising efforts are used to give scholarships to local college-bound students and support local charities of the Lowcountry.